To speed you along, we've customized various maps for different purposes. Click each link below. Did You Know? 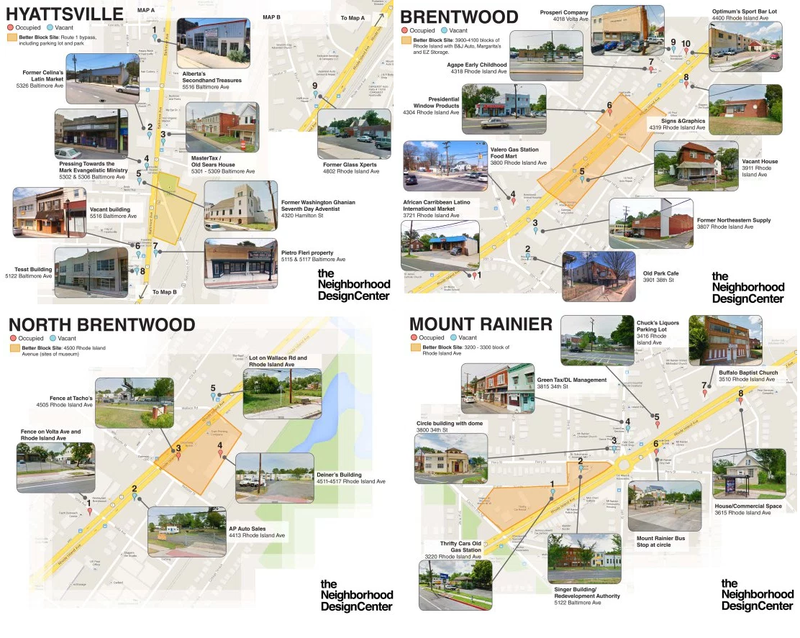 The Gateway Arts and Entertainment (A&E) District of Prince George's County runs north-south along Baltimore/Rhode Island Avenue, beginning at Madison Street at Baltimore Avenue in Hyattsville and ending at Eastern Avenue at Rhode Island Avenue in Mount Rainier. The A&E District runs for 2 miles along Route 1. Is the closest in Maryland to the Nation's Capital (following Wheaton, MD; Bethesda, MD; Silver Spring, MD). Links to this website's many filter-able directories. This handy map notes some local arts centers, businesses, and nearby schools and libraries near the A&E District. For detailed listings, browse our interactive directories. 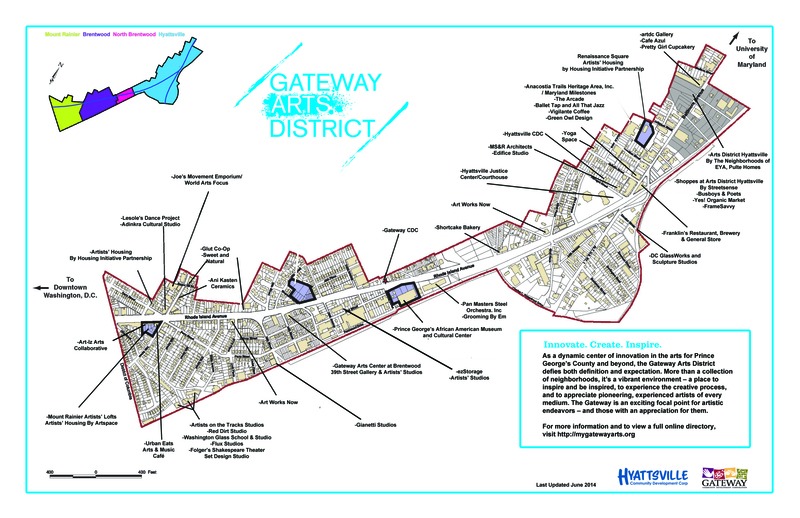 Browse our map below: The Prince George's County Gateway Arts District Sector Plan is based on the community’s vision and a concept plan that reflects the intended character of the Arts District. The community’s vision describes an area that is a focal point for art activities of all types and a place for entertainment, socializing, dining, shopping and living, but retains at its core the heart of four small municipalities. 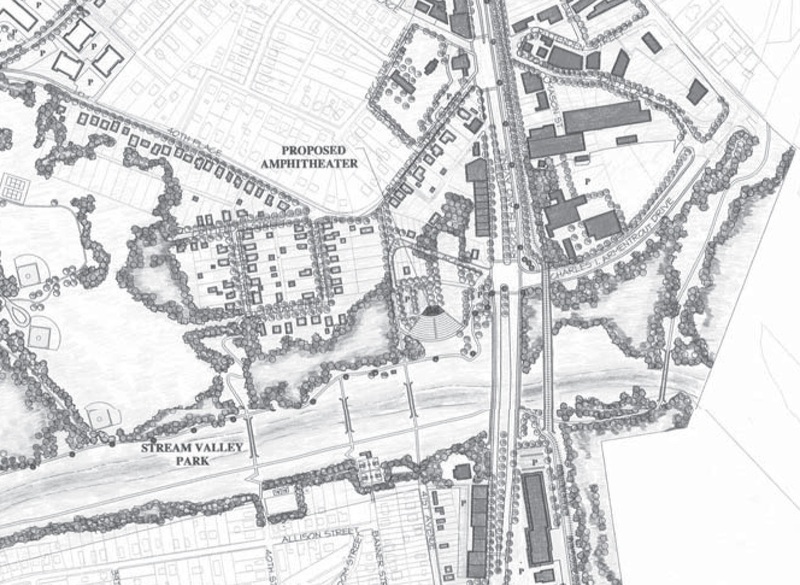 The County Arts District concept plan builds upon the unique characteristics of the four municipalities to allow the development of more lively commercial and mixed-use centers via seven character areas. On a practical level, each character area performs a complementary-but-different sometimes-overlapping function. As such, individual properties' uses are encouraged and prohibited in order to encourage each area's potential for new and continued investment. In turn, investments made on individual properties may qualify for real property tax eligiblity. Read a cheat-sheet on each character area below. If you're in an exploring mood, browse our Vision in the Sector Plan - Section 4 Conceptual Plan, Page 12 for the vision for each area. Then, for summaries of goals, land use characters, and a table of uses for each area visit Section 5 Implementation, page 135. For a map of zoning, we recommend the interactive web-app, PGAtlas.org. Interested in how this applies to your property? Contact your local CDC. The Town Center character area in red is a walkable, pedestrian oriented area with mixed use development. The Arts Production and Entertainment character area in blue likewise supports a mix, but specifically gears itself towards artist live/work space, artist larger-scale production space, small-scale retail and commercial businesses and entertainment uses. 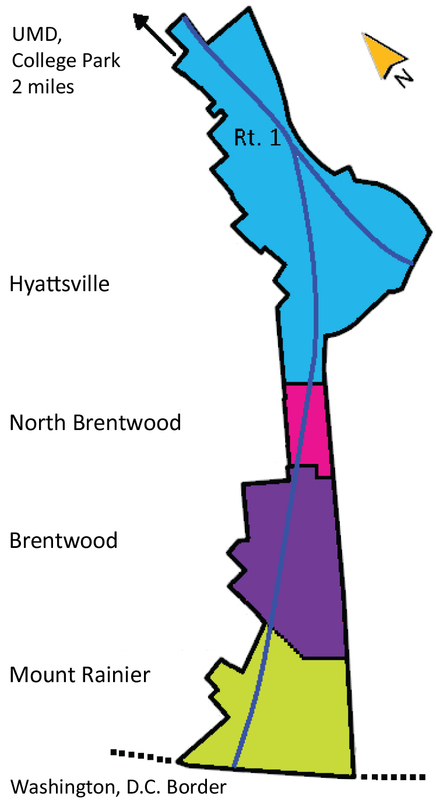 Neighborhood Arts and Production in purple is similiar but on a smaller and quieter scale with less traffic, so that it blends into the Traditional Residential Neighborhood character area in pale yellow. The latter is primarily for single families and also artists who wish to produce and teach from their homes. The Multifamily Residential community is in beige and also supports artists by including auxiliary buildings with studios for residents, and facilitates multimodal transporation. The Stream Valley Park is in green. 2) Click here to browse a 2014 Points-of-Interest map. 3) Click here to browse the Public Art database. 5) Click here to browse the Art Lives Here campaign's blight maps. Looking to learn more about how we address blight and economic development? Contact your local CDC for the latest projects. For area arts-supporting businesses, please visit our Business Directory. For artists who have listed their studios, please visit our Artists Directory. For studios or office space for lease, please visit our Studios-for-Lease Locator. For public art nearby, please visit the Public Art Locator. For outdoor recreation, visit our Parks & Playgrounds Locator.